In the morning hours of October 8, 2005, a magnitude 7.6 earthquake violently shook the mountainous regions of northern Pakistan. In less than a minute of strong ground shaking, over 87,000 people were killed, among them 19,000 children, many of whom were in school buildings which collapsed. Three and a half million people were left homeless and thousands of buildings plus much of the infrastructure suffered severe damage. Despite the widespread damage and high economic losses, reconstruction was done quite efficiently and today very few signs of this earthquake can be seen in the most severely hit city of Muzaffarabad, except for the scars from huge landslides. Most people are unaware that the magnitude of this event was still less than that of a worst-case earthquake that could occur in this highly seismic region. 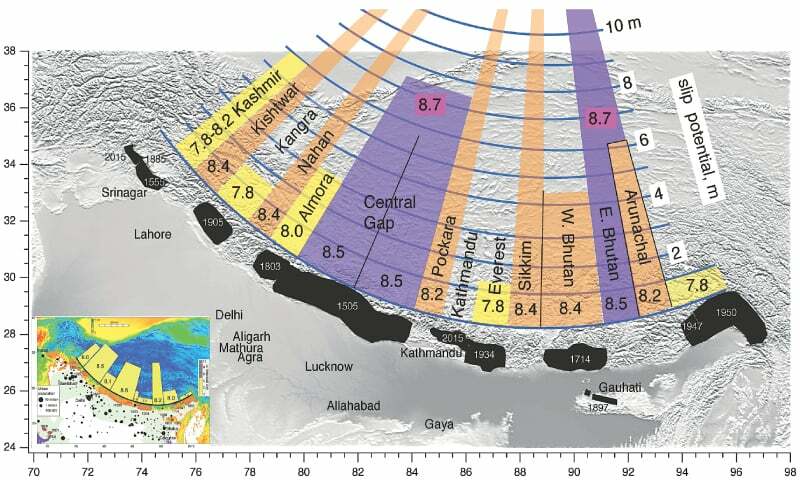 Experts who have been studying the Himalayan Tectonic Interface belt for decades are predicting future earthquakes of magnitudes up to M=8.7 in the region, resulting in estimates of over a million casualties! Due to rapid growth of the population and the economy, the seismic risk is expected to grow exponentially with time if no urgent actions are taken. As strong earthquakes cannot be predicted reliably, the only way to reduce the seismic risk and to protect the people is to build houses and other structures which can resist the effects of strong earthquakes. Seismic building codes and guidelines for different types of structures exist and are used worldwide. Following the Kashmir Earthquake, Pakistan managed to update its building code — with at least one of the authors of this article — participating in the effort, to include many modern requirements for earthquake safe design and construction of structures. However, the main challenge is to effectively enforce these guidelines and codes, which can generally be done easily for new buildings and structures. On the other hand, equal attention must be paid to existing structures, which is a more challenging process. The identification, evaluation and upgrading of seismically deficient existing structures will be a long-term process, requiring not only significant investment, but first requiring an increase in public awareness about the danger of occupying deficient structures which may not have been designed to safely resist earthquakes, or which were designed with methods that are outdated today. An additional difficulty is the quality of work done by contractors, which is often an even greater concern. Government authorities must first acknowledge the risk and then start taking adequate steps to address it. Ignoring or minimising earthquake risk is not a solution; in fact, it is a prescription for disaster. 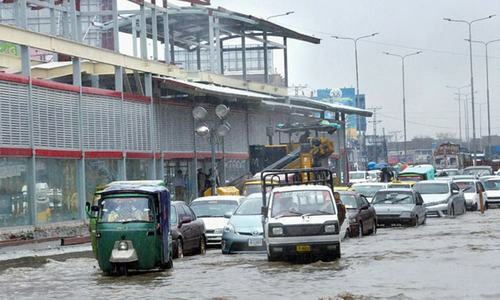 Along with rapid national development in nations such as Pakistan, which are located in highly earthquake prone regions, new risks emerge from the construction of major public works and infrastructure projects, such as power plants and large storage schemes for hydropower generation, flood control, water supply and irrigation. It is important that these essential projects do not lead to an undue increase in seismic risk. A particularly important category of projects exposed to high seismic hazard are the large dams, as these must be built where water is available and can be stored economically. In the case of other types of projects, such as thermal or even nuclear power plants, sites can be selected where the local conditions are much more favourable than at dam sites. The main water storage projects planned in Pakistan are in the upper reaches of the Indus River and its tributaries. This is a region of very high seismicity located literally on top of the subduction zone of a continental tectonic interface, which has been the cause of the creation of the highest mountain ranges of the world, the Himalayas and Karakoram ranges. One of the mega projects planned in that region is the Diamer Basha Dam, which is slated to be one of the tallest and highest concrete gravity dams in the world. Among the main technical challenges for this project, and other similar projects in this region, are the high seismicity, high flood discharge during the monsoon season, landslides and the difficult geological and topographic site conditions. Additionally, there are major logistical challenges with the transport of huge quantities of construction materials, along with serious security issues. The primary planning and design issues for the Diamer Basha Dam project are structural safety and sustainability. This implies that the dam must be designed to safely operate for a service-life of well over 100 years. Today, as an example, the new Brenner railway tunnel between Austria and Italy will be designed for a service-life of 200 years. Similar criteria must be used for Diamer Basha. Not only does this mean the utilisation of top-quality construction materials, especially concrete, and high-quality construction works, but it also obligates the concerned authorities to ensure the highest level of care, competence and diligence during the feasibility, planning and design phases of such a project. Experts who have been studying the Himalayan Tectonic Interface belt for decades are predicting future earthquakes of magnitudes up to M=8.7 in the region, resulting in estimates of over a million casualties. 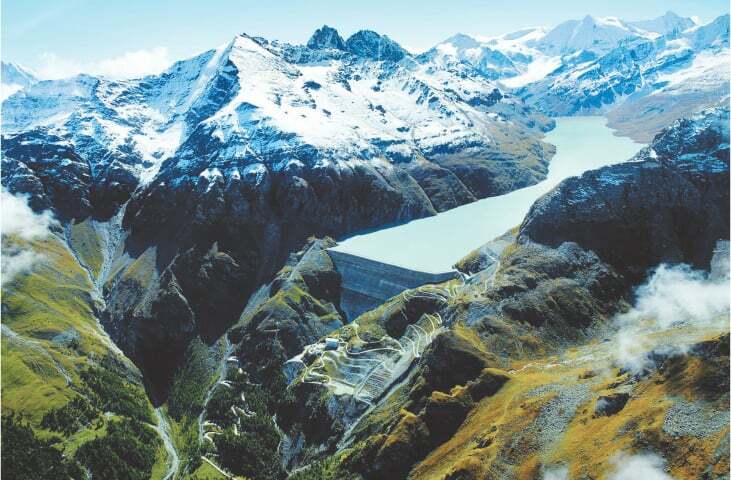 A highly sophisticated and suitably conservative assessment of the seismic hazard, prepared and overseen by top-level international specialists, must be formulated and implemented for the detailed design of this new dam. Such a process is necessitated by the fact that a mega-dam of this type, in a region such as its location, has not yet been designed and built anywhere in the world. Moreover, there is very little data from even somewhat similar types of dams located in very high seismic regions that might otherwise add a level of confidence to an ordinary or customary seismic hazard assessment and seismic design process for this world-precedent concrete gravity dam. It must be noted that strengthening the dam once it has been completed will be extremely costly, therefore, there is no alternative to creating and implementing a robust, unquestionably vetted, state-of-the-art earthquake safe design for this project. It is well known to experts in this field that the seismic hazard is more complex than the flood hazard, as it includes ground shaking, fault movements and landslides. The latter cause impulse waves, or tsunamis, in the reservoir. Although a lot is said about climate change, to deal with the consequential changing flood hazard, from the engineering point of view, is less complex than dealing with the seismic hazard. As mentioned above, there are multiple effects from strong ground shaking that must be included while calculating the seismic hazard for a high-quality dam, which must allow for the high uncertainties in seismic hazard. One key aspect of seismic safety for large dams is the need to control the water level in the reservoir after a strong earthquake and the provision of low-level outlets to lower the reservoir, in case there are doubts about the safety of a dam — especially from large aftershocks which occur following a strong earthquake. In addition to the seismic-resistant design of the main dam body, one must also focus on seismic-resistant designing of the appurtenant structures and the electro-mechanical equipment that form the entire dam complex. The elements of the facility that are required to control and lower the water level in the reservoir after a strong earthquake must be operational after an earthquake. If this is not the case, the dam may be overtopped days or weeks after a destructive earthquake. As a concrete gravity high dam located in one of the most intense tectonic regions of the world, the Diamer Basha Dam project represents a tremendous opportunity for Pakistan to achieve something that is heretofore unprecedented in the world. However, along with the potential benefits and opportunity come some seriously high risks which must be properly recognised and adequately managed. The unique nature of the project and the consequences of possible earthquake-induced damage — or even total failure — of this mega-dam demand that extraordinary care is taken in assessing the seismic hazard, developing the seismic design basis and design criteria and executing the detailed seismic design of the dam and its appurtenant parts. For such a process to be properly executed, there is no alternative but to engage top-level international seismic specialists, not just dam engineers, to perform the highly specialised seismic analysis and design work. It is common practice to also engage an independent third-party peer review standing committee, which includes experts in the seismic design and safety assessment of large dams as well as flood and hydrology experts. This committee remains fully integrated and active throughout the design and construction phases of the project. Since the 2004 feasibility study of the Basha Dam Project, and even thereafter, two important earthquakes have occurred, i.e. the 2005 Kashmir Earthquake and the 2008 Wenchuan Earthquake in China, which provided new aspects of the seismic hazard for large storage dams in mountainous regions. These are the large number of landslides and rockfalls, which have been neglected or underestimated in most dam projects internationally. Furthermore, greater consideration is now being given, in the field of seismic design, to the vertical component of seismic accelerations. Thus, the current seismic hazard assessment might be incomplete. From the information gathered, it seems that the maximum seismic acceleration proposed for the dam design is less than half of the actual value experienced during the 2005 Kashmir Earthquake! Therefore, further in-depth investigations are still needed, as even with the best of intentions, the country may be headed towards the creation of a situation of unduly high seismic risk, potentially jeopardising billions of dollars and perhaps thousands of lives downstream. The bulk of the work completed thus far on this project was done during the tenures of the preceding two governments. Many Pakistanis seem to believe that the recent elections have brought to power a new government which is reportedly much more committed to meritocracy, excellence, judiciousness, transparency and accountability in public affairs. If so, the current government must take immediate measures, along the lines of those recommended above, to ensure that such hugely expensive and critical public works projects of national importance are indeed designed, overseen and built according to the highest standards available in the world today. The Pakistani people deserve nothing less. Saif M. Hussain is a Pakistani-American structural/earthquake engineer practicing in California. His project experience includes Hub and Kalabagh Dams as well as post-Kashmir Earthquake research, reconstruction projects, training and capacity building programs. He is also a founding member of the United States Resiliency Council. Martin Wieland is Chairman of the Committee on Seismic Aspects of Dam Design of the International Commission on Large Dams. He is a civil engineer based in Switzerland, who has been involved in several large dam projects located in highly seismic regions, mainly in Asia. Diamer-Basha is a risk not worth taking. Instead the water could be stored & many smaller run-of-the-river projects be constructed downstream. Most of the mountainous areas of Pakistan are part of the tectonic plate interface & hence the risk of a catastrophe is too high. Author's good experience must be used effectively. @Fascist Guruji, "Diamer-Basha is a risk not worth taking. Instead the water could be stored & many smaller run-of-the-river projects be constructed downstream. " As an engineer, a pragmatist, a realist and a risk averse parson who believes in "Better to be safe than sorry, i could not agree with you more. Let me add, whatever pakistan builds, please do not contract it out to the Chinese, I would not trust their expertise or honesty to build something so crucial from a safety aspect. Diamer-Basha is a risk not worth taking. Instead the water could be stored & many smaller run-of-the-river projects be constructed downstream. Planning and Design is the key to avoid any future earthquake related disaster. What about dams India has built in Kashmir.. aren't they prone to earth quakes ??? Design the dam to resist the high magnitude quake .. seek help from China as it has built a huge network of dams in its mountainous region ..
@Vijay B., what about dams India has built in Kashmir and Himalayan range .. do they fall out side the critical seismic zone .. Design of diamir-basha dam shall surely be very critical considering its location. Pakistan does not need mega dams , the need is for conservation.